The Atlantic Action Plan aims to revitalise the marine and maritime economy in the Atlantic Ocean area. It shows how the EU's Atlantic Member States, their regions and the Commission can help create sustainable growth in coastal regions and drive forward the "blue economy while preserving the environmental and ecological stability of the Atlantic Ocean. 4. Create a socially inclusive and sustainable model of regional development; Each of these priorities contain a number of specific ideas, ranging from research cooperation, to investment in infrastructure and cooperation mechanisms - which Member States are invited to implement using EU funds, funding from the European Investment Bank (EIB) and private sector involvement in the period 2014-2020. - Carrying out research to improve the growth, productivity, competitiveness and environmental sustainability of aquaculture (including offshore aquaculture) and the industry's ability to respond to market needs. In 2010 aquaculture represented 10% of EU consumption. If this percentage could be raised by 1%, it could create 3000 to 4000 jobs. - Identifying and promoting cultural and natural attractions such as the artisanal fishing, gastronomy and maritime heritage of the Atlantic coast. Who participated in drawing up the Action Plan? The plan is part of a so-called "sea-basin strategy", the Atlantic Strategy, in which countries and regions around a shared sea space work together. This means that the countries (Spain, Portugal, France, Ireland and the United Kingdom) and their regions are in the driving seat. The Commission organised five regional workshops which brought together all the regions at the Atlantic coast, with civil society and industry also participating, to discuss common challenges and come up with new ideas. This proved to be a very fruitful, "bottom-up" process. The European Parliament has lent its special support to this initiative. Members of the European Parliament and also the European Committee of the Regions joined all the discussions. The consultation process enabled stakeholders to identify opportunities for growth in the blue economy and to suggest actions that might take advantage of them. This inclusive process meant increased the robustness of the actions and the confidence that they were the right ones. A number of them involve collaboration between different regions and Member States – either through joint projects or through the sharing of experiences in order to identify best practice in solving common problems. How can the Action Plan be funded? It is now up to the Member States concerned to decide whether the proposed actions could be funded using planned EU funding. 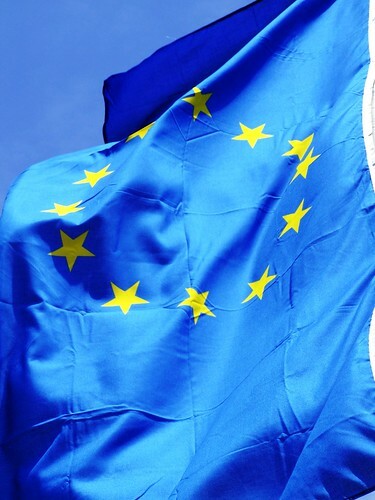 EU funds that are managed by the Member States (the so-called structural funds: the European Maritime and Fisheries Funds, the European Fund for Regional Development, the European Agricultural Fund for Rural Development and the European Social Funds) could be used to put some or all of these proposals into reality. With the start of new financial programmes for the period 2014-2020, the Action Plan should guide Member States and the Commission in planning their use of EU and national funds. The five Member States are therefore encouraged to take the Action Plan into account in their discussions with the Commission on their respective Partnership Agreements on the structural funds. Funding might also come directly from the EU budget, for instance through as the financing instrument for the environment (LIFE+), the EU's research and innovation funding programme (Horizon 2020) or the programme to assist enterprise and SMEs (COSME). In addition, the European Investment Bank would stand ready to mobilise its financing tools and expertise in support of suitable projects in order to further the Action Plan's priorities. The European Investment Bank can extend support to both public and private sector activities in the form of lending, blending and technical advice and offers a variety of financing instruments. At the end of 2012, the EIB had a capital of 242 billion EUR and a lending capacity that same year of 52 billion EUR. Finally, Member States may also wish to approach the private sector to explore involvement and finance. Cooperation on the Action Plan remains voluntary. How does this fit in with the Commission's sea basin strategies? The EU's Integrated Maritime Policy promotes growth and development strategies that exploit the strengths and address the weaknesses of each large sea region in the EU. As each sea region is unique it prescribes a tailor-made strategy for each sea basin. Sea basin strategies align funding from Member States and different European sources on commonly agreed objectives and targeted specific measures. They focus on goals like employment, accessibility and quality of life. Apart from the Atlantic, good progress has also been made in other areas, notably in the Baltic and Adriatic and Ionian seas. The EU has also adopted a strategy for the Arctic region.